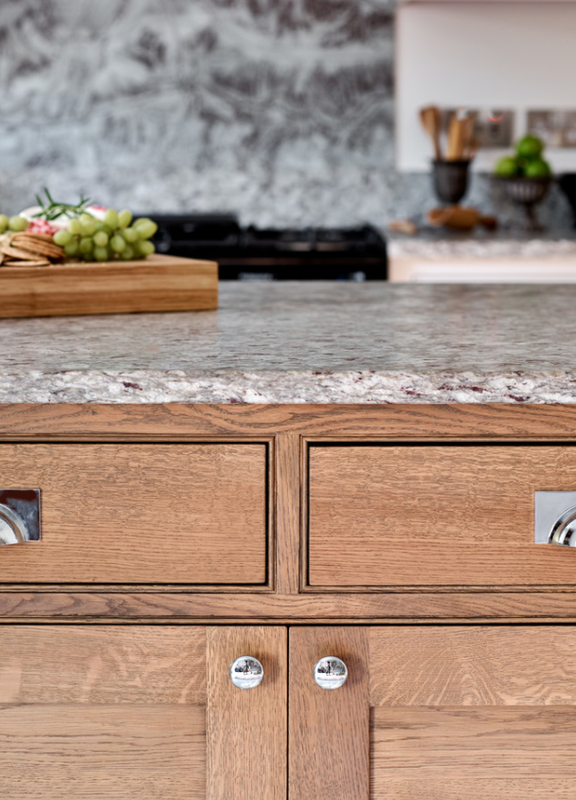 The kitchen worktop is a beautiful textured granite called Ambrosia Satinato. 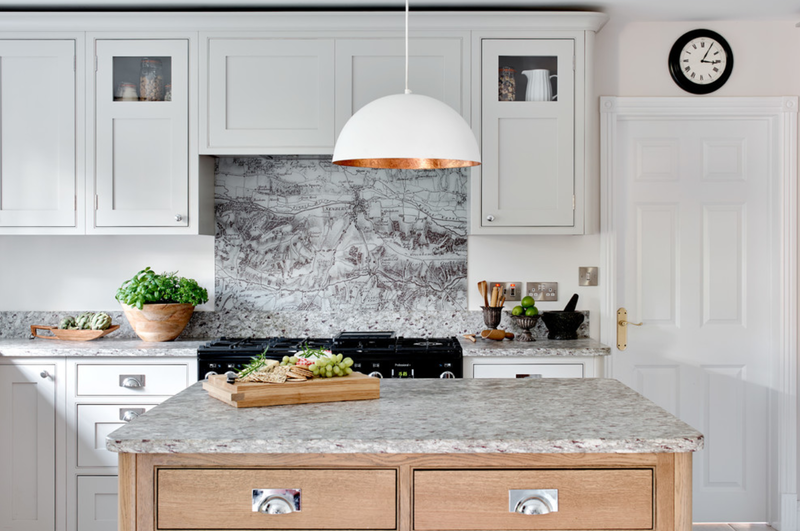 The Ambrosia Satinato granite worktop is honed and has a wonderful colour and veining. 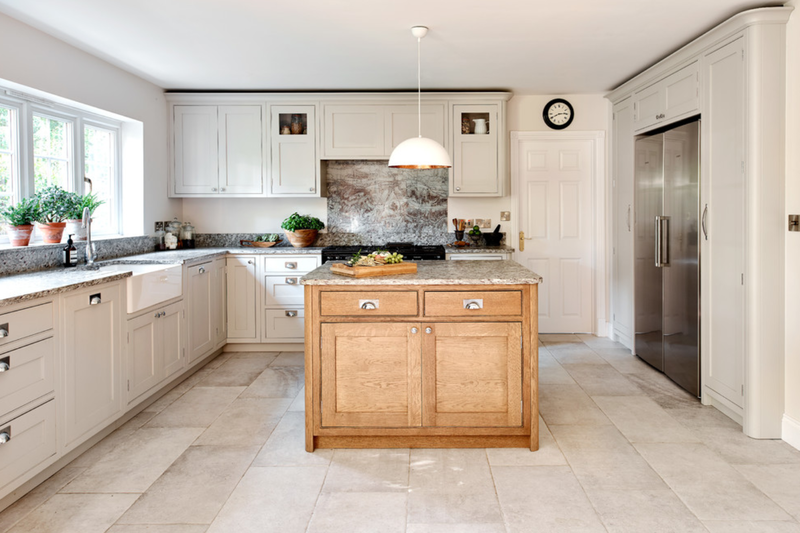 The flooring is a porcelain tile called Purbeck Stone. 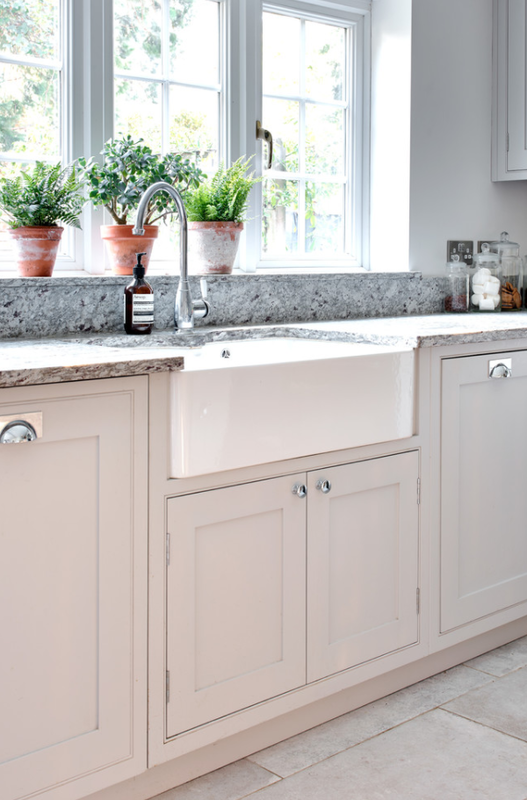 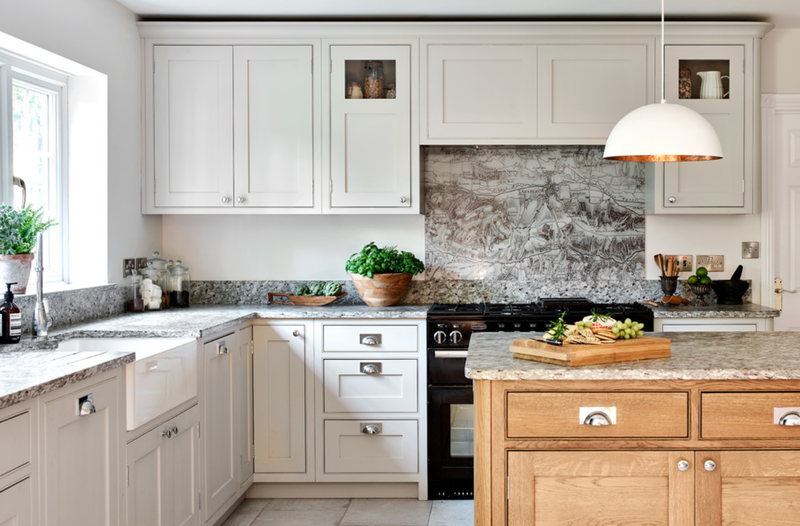 The kitchen features a Farmhouse 80 belfast sink and an Astbury swan-neck tap.